The island of Madeira is a green subtropical paradise of volcanic origin with a year-round summer climate. With its beautiful parks and gardens full of exotic flowers and varied wildlife, stunning coastal and mountain walks and the historic capital of Funchal, Madeira has rightfully been crowned best island destination in the world at the 2015 and 2016 World Travel Awards. Guests really loved this hotel last time we ran a bridge week here - a fabulous luxury hotel with great service and food, plus a simply superb 18-hole golf course just a few minutes away. Book as a group of 4 in twin occupancy, before 31st March 2019 and benefit from a 25% discount (subject to availability). From £1365 pp. Please contact us for prices if you wish to book in single occupancy. Casa Velha was originally a hunting lodge for the Count of Carvalhal. In 1885, the estate was acquired by the Blandy family, synonymous with the Madeira wine trade, to whom it still belongs. Now an elegant 5-star luxury hotel, it forms part of the prestigious Relais and Chateaux hotel group. Filled with sunlight and antiques, fresh flowers and floral chintzes, this peaceful hotel is beautifully preserved and brimming with country house charm. 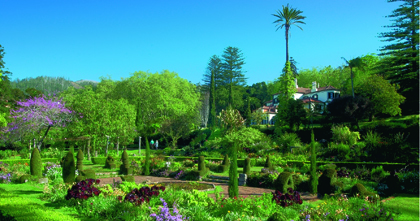 The attractive, cream coloured building with a terracotta-tiled roof has wisteria rambling along balconies and framing doorways which open out onto one of Madeira’s most stunning gardens. Within the extensive Palheiro grounds, there is an outdoor swimming pool and in the superb spa, an indoor heated pool with sauna, steam bath and a fitness room. There is an all-weather tennis court, croquet lawn, badminton court and games room. A private motor yacht is available for hire to go dolphin or whale watching or deep sea fishing. The bedrooms are situated in two separate low lying wings, close to the hotel itself, and look onto the lush gardens. These two-tiered buildings are very much in keeping with the country house style of the original house. The interior bedroom decor has deep carpets, floral fabrics and antique furniture including dressing tables and hardwood polished bed heads. The en-suite luxurious bathrooms are beautifully tiled in white, inset with hand-painted floral details. For more information about Casa Velha and an enticing photo gallery, please click here to visit their website. 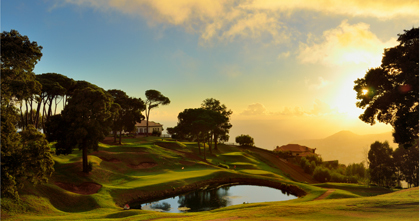 Adjacent to the hotel, Palheiro Golf is one of Europe’s most beautiful golf courses. This 18-hole par 72 championship golf course has magnificent views overlooking Funchal Bay. It passes through a verdant environment of maritime pine and botanical woodland, lined with lush, sub-tropical vegetation. There are privileged tee offs from the ‘Halfway House’, a short stroll from the hotel gates, and discounts on green fees for hotel guests. The gated Palheiro Gardens, famous for their camellias, are open to the public and are a year-round place of pilgrimage for flower lovers offering great horticultural interest and a peaceful wildlife haven full of beauty and contrast. There are also a number of marked walking trails through the hotel’s estate and beyond and if you want to explore further, you can book a walking guide to take you on one of the island’s classic walking routes. The lively capital of Funchal with its busy marina, enticing shops and interesting historical buildings is only 20 minutes away. We will be organising some optional excursions during the stay to include a boat trip to spot dolphins and whales, a visit to the famous Monte Palace Tropical Gardens, a guided levada walk and picnic (alongside ancient irrigation canals) and a tour and tasting at Blandy's Wine Lodge. 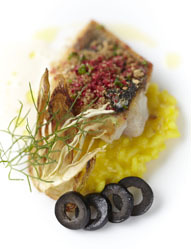 Considered one of the best restaurants in Madeira with impeccable service, the menu of modern classic dishes is made from the best seasonal and lo- cally produced ingredients, including plenty of freshly-caught seafood. Meals are served in the elegant dining room or on the sunny terrace overlooking the peaceful gardens.